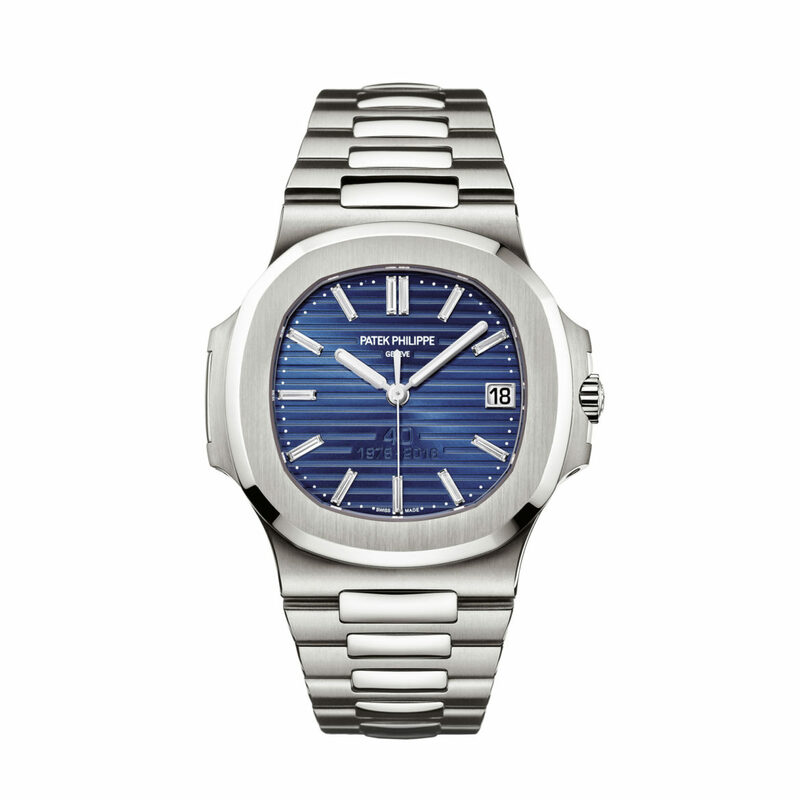 Does the Patek Philippe Nautilus Ref. 5711/1P 40th Anniversary look familiar to you? 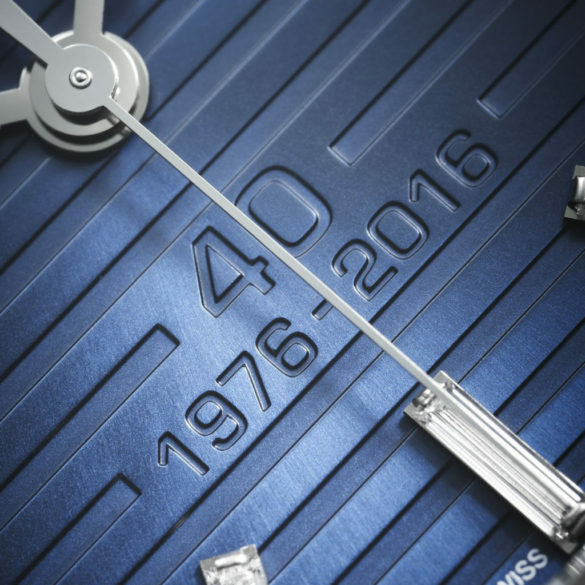 It is the ‘simpler’ of two anniversary models celebrating the 40th anniversary of the Nautilus model. The Nautilus originally debuted in 1976 (reference 3700/1A) and after that many models where launched. You can see its history below. This Patek Philippe Nautilus Ref. 5711/1P 40th Anniversary is basically a 5711, in a technical way. And a sort of a reintroduction of the 5711P which was produced between 2011 and 2015. But in such limited quantities you will hardly find any. This 5711 is limited to 700 pieces. The differences between this one and the ‘basic’ 5711 are the case and bracelet. They are solid platinum now. 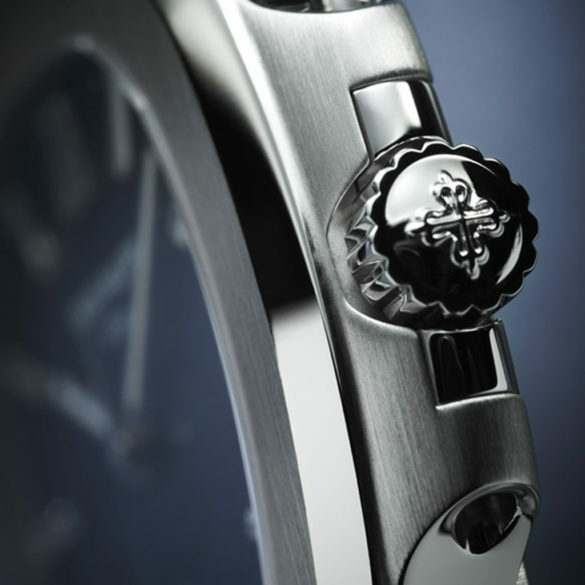 And the dial has both a commemorative anniversary engraving and diamond markers. 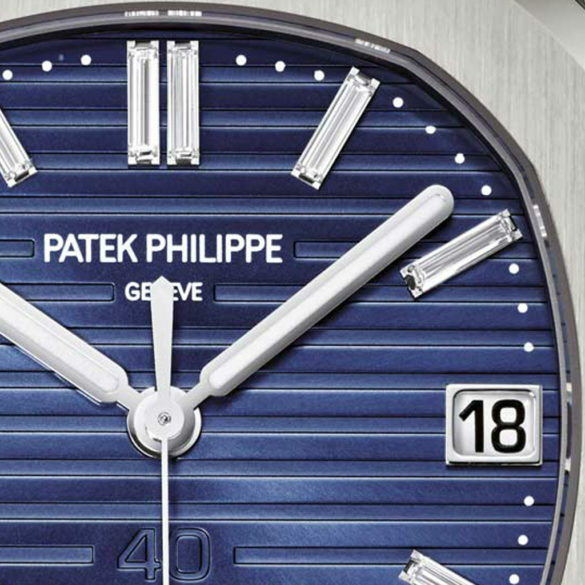 Inside is Patek’s 324 S C calibre which can be found in the regular 5711 models. It’s self-winding and has a power-reserve of 35 to 45 hours. The dial of this time piece has an 18 carat yellow gold base which has been coated with blue PVD. With an embossed anniversary logo. Like all other platinum Patek Philippe watches, there is a small flawless .02 ct diamond set into the side of the bezel at six o’clock. 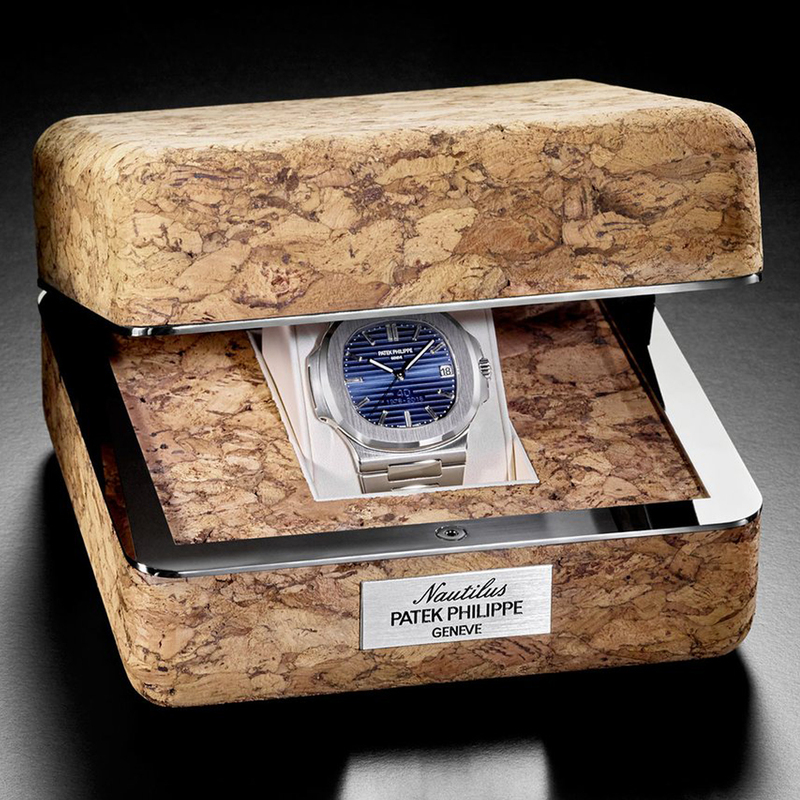 Just like the 5976/1G 40th Anniversary the box is made from cork. A referral to the 1976 Nautilus model which came in a cork box as well. We like this kind of heritage, just as we like this new 5711. Well, except for the prominent embossed anniversary logo. But you can get used to it, we are sure about that. 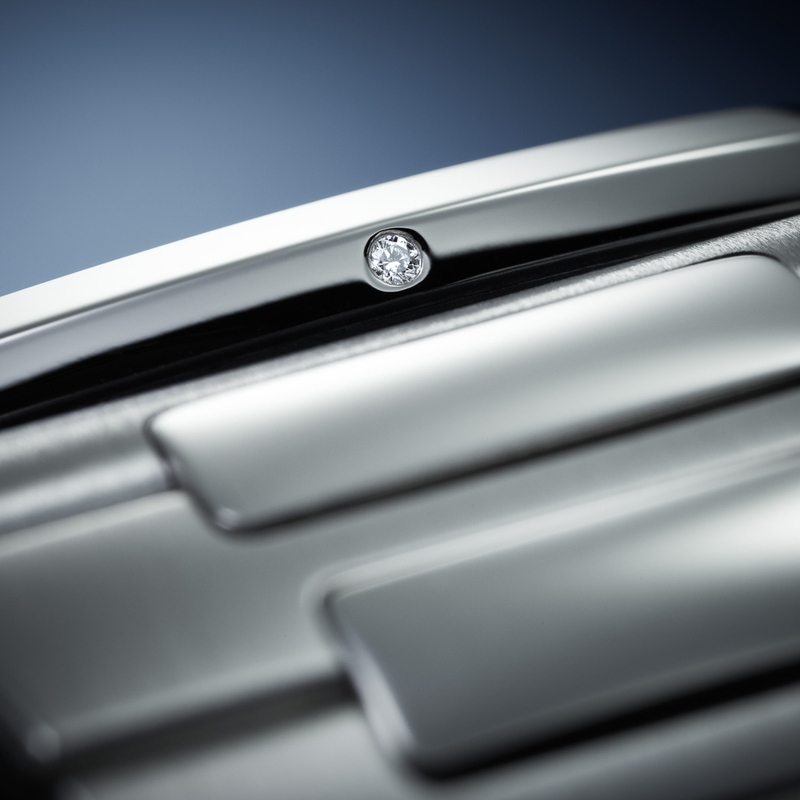 And check out Patek Philippe’s promotional video below the specs.